Dufferin Station opened its doors in 1966 as part of the brand new Bloor-Danforth Subway line. Only those stations west of Keele and east of Woodbine would open later (1968). Over 25,000 people use the subway platforms at Dufferin Station each day. The Dufferin 29 bus route is the fifth busiest bus route in the system. 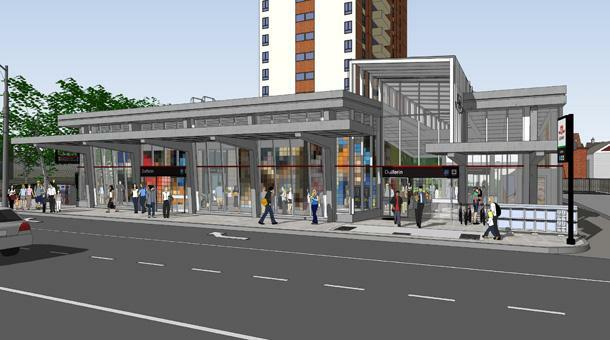 All of the modifications were reviewed by the Advisory Committee on Accessible Transit. “Green” initiatives such as a cool roof, LED lighting and reduced storm water run off.